Get a large rectangle glass dish or similar. Arrange your sponge fingers in layers on top of each other, covering the base of the dish. Add 2 tblspns of the caster sugar to your freshly brewed espresso. give it a stir to sweeten. Pour the coffee over the sponge fingers, making sure the top layer is completely covered. 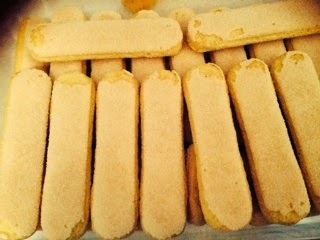 The sponge fingers will completely absorb the coffee. 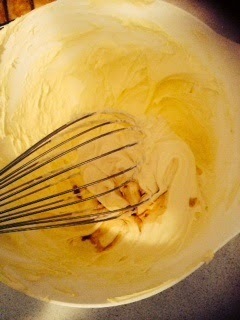 While that soaks in, put your mascarpone in a bowl and whisk it up with the rest of the sugar. Slowly add a few drops of vanilla essence while whisking. Drizzle in the marsala until the mascarpone becomes silky and a shiny consistency. Now add a few squeezes of orange juice before smearing the mascarpone over the sponges. 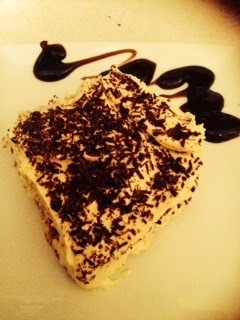 Finally grate or peel the dark chocolate over the smeared mascarpone. Sprinkle lightly with a little finely grated orange zest. Keep in the frigorifero till ready to serve.